Blog – Stinson, Lasswell & Wilson, L.C. 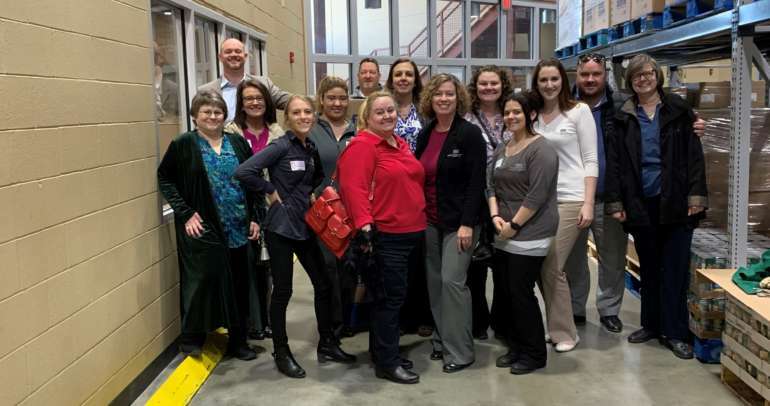 2/19/2019 – Attorneys and staff rolled up their sleeves yesterday to pack meal bags for the Food 4 Kids program at the Kansas Food Bank Warehouse. A high speed assembly line was formed and lots of fun was had by all. 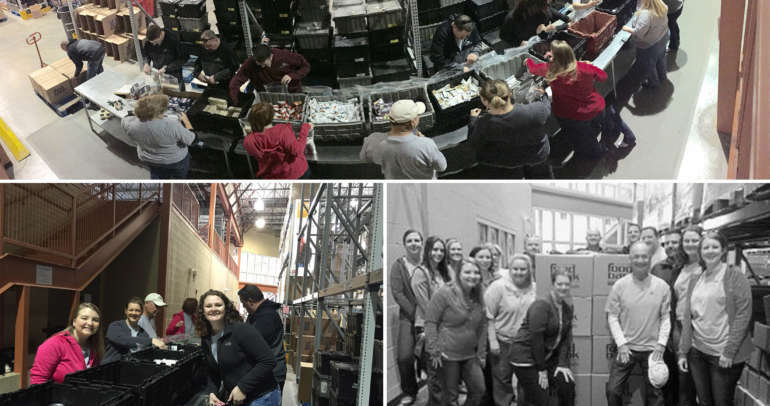 The highly deserving mission of the Kansas Food Bank is providing hunger-relief whenever and wherever it is needed and Stinson, Lasswell & Wilson LC was happy to lend a hand on this cold winter day. 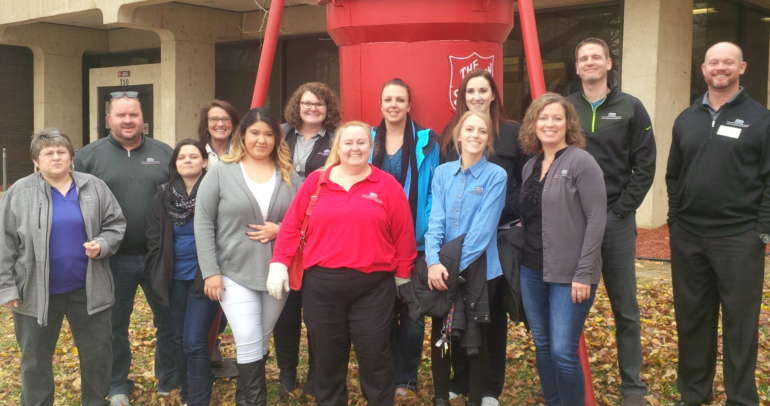 For the fourth year, attorneys and staff gathered at the Wichita Salvation Army to assist in the annual Angel Tree Bag & Tag. As in previous years, it was a wonderful way to catch the Christmas spirit and feel part of a very useful cause. T. Michael Wilson and Jeffrey Lowe were once again selected to the 2018 Kansas and Missouri SuperLawyers list. Each year, no more than five percent of the lawyers in the state are selected by the Thomson Reuters research team to receive this honor. In addition, Matthew Olson was recognized as the 2018 Rising Star. Congratulations. Brian Carman has been named Fellow of the American Academy of Matrimonial Lawyers™. • Has demonstrated an active interest and competency in matrimonial law as evidenced by the fulfillment of criteria and standards as established by the AAML™ Board of Examiners and Board of Governors. • Has substantial experience and is able to handle complex matters relating to custody and support of children, property division and alimony or spousal support. • Is recognized by the bench and bar as a leading practitioner in the area of matrimonial law. • Has demonstrated substantial involvement in the matrimonial field and has endeavored to encourage the study, improve the practice, elevate the standards and advance the cause of matrimonial law. The law firm of Stinson, Lasswell & Wilson, L.C. is pleased to announce its 50th anniversary in the legal community. In honor of our firm’s anniversary, the firm will be participating in a volunteer event each quarter. 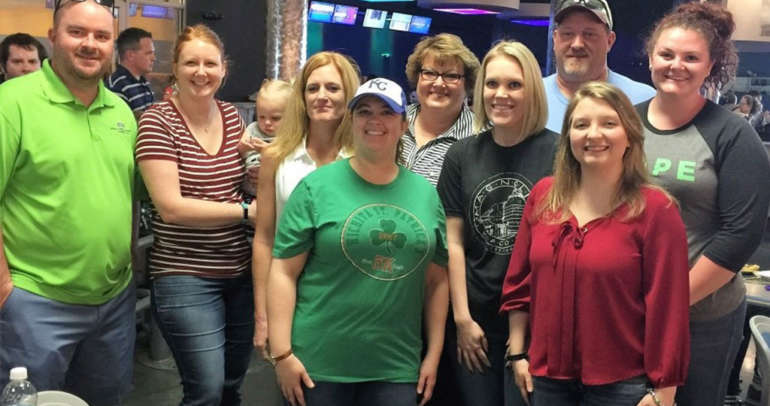 For the first quarter event, the firm participated in a “Food 4 Kids” event at the Kansas Food Bank. “Food 4 Kids” involves packing weekend carriers with kid-friendly food for chronically hungry children. The firm managed to fill a little over one pallet of boxes over the noon hour. T. Michael Wilson has co-authored with Amelia Pohl, Esq. a book entitled “Guiding Those Left Behind in Kansas”. This book walks the reader through the options offered in estate planning, as well as explaining the work to be done following the death of a loved one. To purchase this book, please contact our office at: (316) 264-9137 or admin@slwlc.com. Jeffrey N. Lowe, “Advising the Client.” Practitioner’s Guide to Kansas Family Law (Kansas Bar Association 2d Ed). 2013 Supplements: Chapter 1.